Over the years, if you’ve gone to meetings at the Village Hall, you may have witnessed some that were tense as emotions ran high on a given topic. The recent Plan 2014 is one of the latest examples. However, they pale to being downright cordial and welcoming compared to the first meeting recorded to have occurred in our village. It was 1794……. A more in depth account of this first meeting can be found in the book “Great Sodus Bay History, Reminiscences, Anecdotes and Legends” by Walter Henry Green (Sodus, N.Y. 1947) pp30-41. A quick review of the history of our area in that year will provide the context for the meeting. The newly created London Association, had purchased, in 1791, the 1,264,000 acres for $270,000, almost twenty cents an acre that among other things encompassed Sodus Bay, Pultneyville and Williamson. One major problem remained: under the laws of the new New York State, aliens could not hold title to property in the new State. 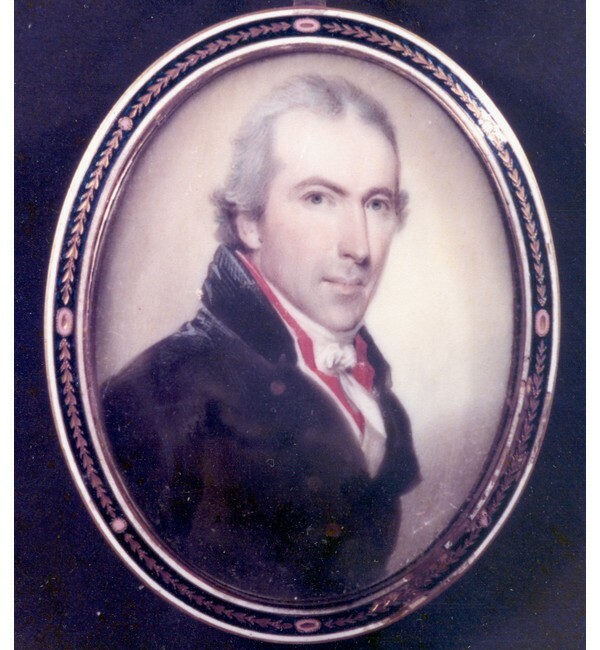 The London Association therefore appointed Captain Charles Williamson (a Scot who had held a commission as Captain in the 25th Regiment of Foot in the British Army) to be the land agent for surveying and developing their purchase with the understanding that he would become an American citizen first which he subsequently did. Captain Charles Williamson took his job seriously and with a great deal of enthusiasm. He was also a man of big dreams. It was in the year 1794 that he undertook to bring to a reality his dream of a great city on the shores of Lake Ontario and Sodus Bay. This is how Troupesville in 1801 (and later Sodus Point) was founded and consisted in 1794 of a single cabin owned by a man named Joseph Colt. Joseph Colt was employed by Captain Williamson as a surveyor and tasked to survey and plot a city west of Sodus Bay and along the Lake Road to Salmon Creek; a distance of two miles from what is now Fitzhugh Street. But there were storm clouds on the horizon for Captain Williamson in the guise of John Graves Simcoe, the Governor of Canada. Simcoe may have thought that the region south of Lake Ontario belonged to the King of England or more likely thought that he could bluff Williamson, sent a protest by messenger (this message was delivered to Williamson at Bath where he was currently staying by his friend Jeduthan Moffat) ordering him to vacate the country within the Old French Line. Simcoe had also said that if Williamson ever ventured into Canada he would put him in irons and send him to England. And so the stage was set for Williamson to meet the messenger in ten days’ time at Colt’s Cabin. Williamson’s friends tried talk him out of going to the meeting but the tough former Scot would have none of it and instead rounded up 10 former American Revolutionary soldiers to be his bodyguards and accompany him to the meeting. He directed his bodyguards to meet the boat at the beach and not permit the twelve men who brought the messenger (Lieutenant Sheaffe) from the ship, to land but to row fifty yards out into the lake, and remain there until the conference was ended. Lieutenant Sheaffe initially refused to submit to these demands but when he was informed he would otherwise not meet with Williamson he accepted and directed his men if he did not return in an hour they were to come after him. He then was accompanied by one of Williamson’s guard to the cabin. When Lieutenant Sheaffe arrived at the cabin he received two surprises. The first was Captain Williamson received him sitting behind a table on which lay a brace of loaded and cocked pistols within easy reach. This was a most inauspicious start for the meeting. The second surprise was considerably more pleasant as the two men realized that they had marched together through a section of England and had been on friendly terms. Although their personal greetings were now cordial, their official conversation was anything but. Lieutenant Sheaffe presented the papers demanding Captain Williamson to vacate the land and requiring an answer. After reading the message, Captain Williamson said “I am a citizen of the United States and under their authority and protection I posess these lands. I know of no right his Britanic Majesty or Governor Simcoe has to interfere or molest me. The only allegiance I owe to any power is to the United States, and so far as being intimidated by people I have no connection with, I shall proceed with my improvements, and nothing but superior force shall make me abandon the place. “ Williamson then inquired if the protest was intended to apply to Sodus exclusively (It was not but rather to all the Indian lands purchased since the peace of 1783) and what was Governor Simcone’s intensions if the protest was disregarded (Unclear since Sheaffe was just the bearer of the message). The conference ended in about an hour and then Sheaffe returned to his boat. This was not the end of the affair, however. Fearing for the protection of settlers in the Genesee and Sodus Bay region, he sent a post to Governor Clinton , to the Edmund Randolph who was the Secretary of State and also to General Knox, Secretary of War. This correspondence caused such a stir that President Washington sent a letter to John Jay, the American minister at London, in which it characterized it as “the most open and daring of the British agents in America”. As we now know, nothing ever came of this protest from the Governor of Canada but think of this: the next time you are at a contentious meeting in Sodus Point just be thankful that it does not involve loaded guns on the table and require the President of the United States to get involved like the first meeting in our town!